Carbondale Chamber and Tourism Council are on the pulse of our sweet little mountain town. A non-profit entity, they serve a critical role in the town’s small business success. 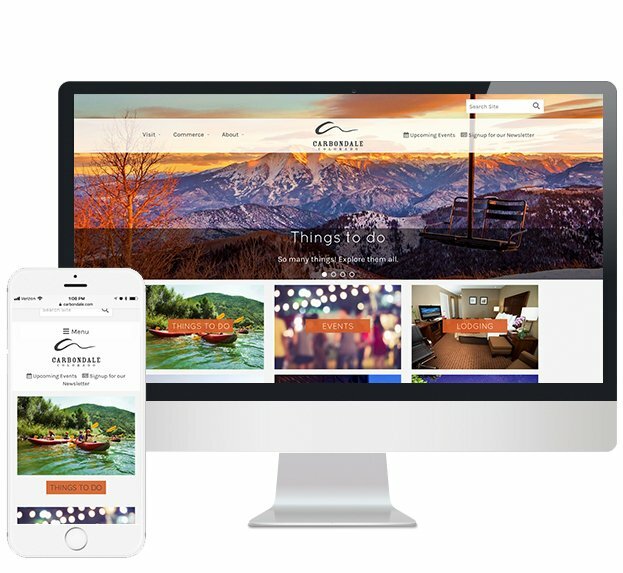 FootSteps built and designed the website to highlight attractions, promote upcoming events, and provide activities and lodging for tourists and locals alike. We provide an integrated marketing approach and employ all our marketing services tactics to help the Chamber accomplish their goals of increasing tourism, supporting small business efforts, and cultivating the town’s unique offerings. By focusing on the physical beauty of the town of Carbondale and our surroundings, the website grabs the attention of tourists, local businesses, and neighboring communities. 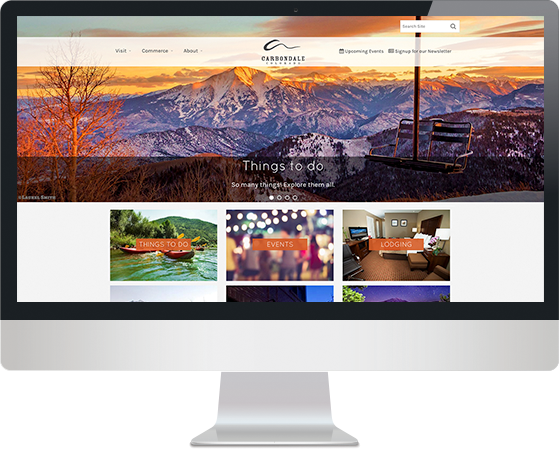 A responsive design that seamlessly integrates social media and the consistent rotation of events and news, the website became the central hub of Carbondale’s tourism efforts. 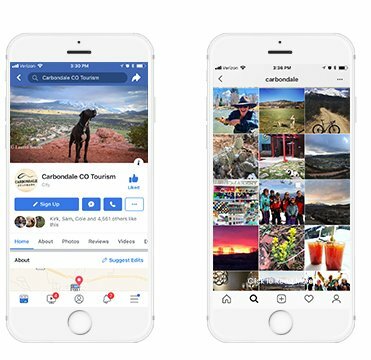 FootSteps keeps businesses and tourists engaged by focusing Carbondale Chamber’s social media platforms on exciting giveaways, photos, and events. In just over two years, our social media marketing efforts have improved brand awareness, delivered a high ROI, provided detailed data about the audience, increased traffic to the website, and enhanced the site’s SEO ranking. Digital newsletters feature upcoming events, promote contests and giveaways, advertise social media accounts of partnering businesses, and drive traffic effectively to the site and footsteps through their doors. 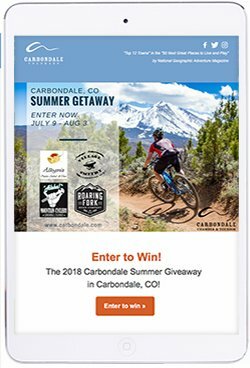 Making sure our email marketing works for those on the go as well as those at their desks, FootSteps' email designs for Carbondale are responsive and optimized for mobile users. 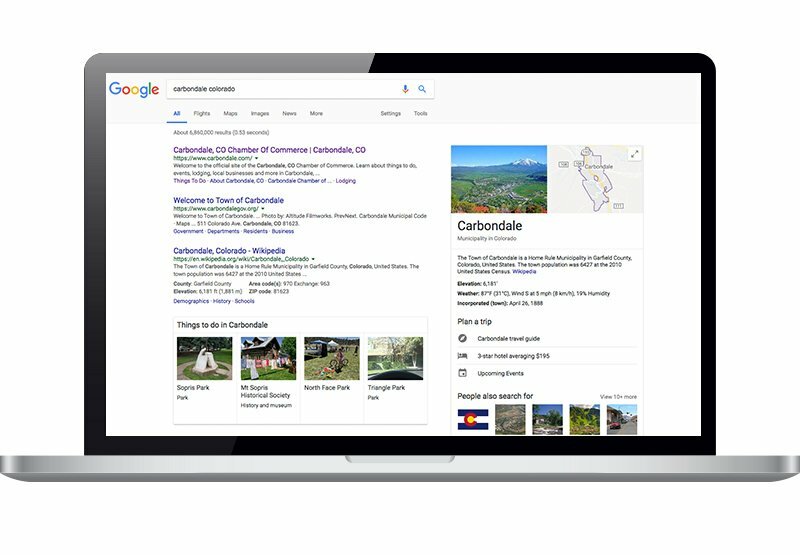 Consistently updating Carbondale Chamber’s search marketing and Google Adwords campaigns, by crafting custom blogs and pairing them with Google AdWord campaigns, provides a direct and effective channel to market Carbondale.